Technology-savvy health care professionals are advocating for the use of text messaging to transmit orders and prescriptions. They say it provides significant benefits, including convenience. But some serious safety risks are not adequately addressed by technology. Clinical decision support. Texting orders may bypass the clinical decision support that an electronic-prescribing system offers. This support helps health care providers ensure patients are getting the best option. Texting on a cell phone does not give the prescriber access to the patient’s medical record (ie, a complete medication list or laboratory values), which might be needed during the prescribing process. Distractions from incoming phone calls or texts. 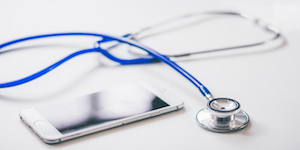 Cell phones are busy devices, frequently receiving calls, emails, social media notifications, texts, and other alerts that could distract health care providers attempting to text an order. Next, because most texted orders must be entered as free text, misspelling the drug or patient name is possible. Any drug names, medical terms, patient names, and approved abbreviations that are used may be autocorrected because they are unlikely to be in the phone’s dictionary. Incorrect entries could delay care or lead to a significant error. Electronic-prescribing systems often have prompts for an order’s critical components, including the dosing information. Text and verbal orders could omit this information. Transcription. Nurses and pharmacists often must manually transcribe texted orders into the patient’s electronic medical record or pharmacy profile, which increases the risk of an omission or transcription error. Transcription may delay patient care and could lead to a duplicate order. Texting also makes order clarifications difficult. Conclusion. To reduce the risk of errors and patient harm, texting medication orders should not be allowed until the safety issues have been identified and resolved using advanced technology. Also, vetted clinical guidelines should first be employed by orga- nizations industrywide to ensure safe, secure, and standardized texting processes. Leaders must establish and communicate policies on texted orders and take a strong stance on avoiding them until they can be safely implemented. Michael J. Gaunt, PharmD, is a medication safety analyst and the editor of ISMP Medication Safety Alert! Community/ Ambulatory Care Edition.